Dallas police is reminding people that it will be conducting a “No Refusal DWI Initiative” for St. Patrick’s Day weekend. Beginning Thursday at 6 p.m. and ending Monday at 6 a.m., anyone stopped under suspicion of drunk driving will be served a search warrant for a blood sample. Law enforcement will be out in force in an effort to prevent drunk driving and to stop any drivers who get behind the wheel intoxicated. 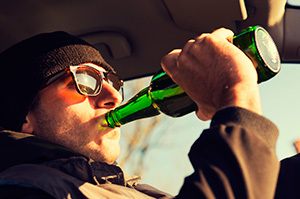 Considered one of the most dangerous holidays of the year, more than 270 people died in drunk driving accidents(http://www.edwardslawok.com/oklahoma-dui-collision-attorney.html) during St. Patrick’s Day weekends, between 2009 and 2013. As part of its Drive Sober or Get Pulled Over initiative, the National Highway Traffic Safety Administration (NHTSA) is encouraging everyone to make a plan before heading out to celebrate the holiday. No matter how much you have had to drink, you should never even consider getting behind the wheel. Alcohol impairs your ability to make decisions and react to unexpected obstacles. Accidents will happen with a drunk driver behind the wheel. If you see a drunk driver on the road, call 911 to report a description and location of the vehicle. The Dallas auto accident lawyers at The Edwards Law Firm have seen firsthand the devastation that results from drunk driving accidents. If you are injured or lose a loved one in a drunk driving accident, we can help.